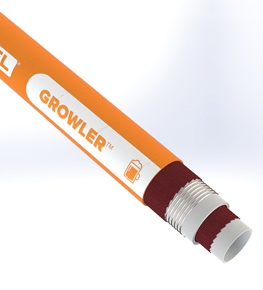 Growler™ brewery hose is a heavy-duty hose formulated for the suction and delivery of beer, wine, alcohol, and soft drinks. 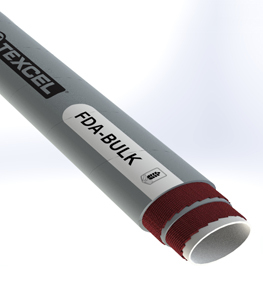 FDA-BULK is a soft wall hose for dry and abrasive food such as grains, rice, sugar, flour and animal foods. 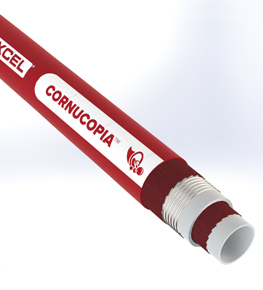 Cornucopia™ is a multipurpose sanitary hose formulated for use with fatty foods, wine, beer, potable water, and other related foodstuffs. 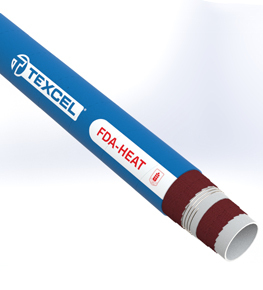 FDA-HEAT is a suction and delivery hose for hot dry air in a FDA tanker. When you're looking for dependable products and outstanding service from a brand name you trust, Texcel can take care of all your needs. We provide distributors with a convenient and affordable one-stop shop.